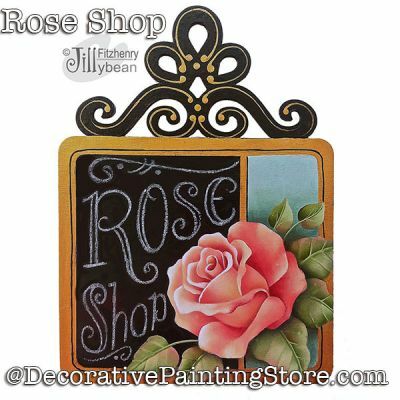 Coral rose on chalkboard backgroundpainted on 6 inch scroll top plaque. Or paint on your choice of surface. DecoArt Traditions and Americanas Acrylic Paints and Dazzling Metallics.